The Grapevine (8/10/18): Impact is Jericho? - Smark Henry | The voice of Filipino wrestling fans | Philippine Wrestling Revolution, WWE, and more The Grapevine (8/10/18): Impact is Jericho? The Grapevine (8/10/18): Impact is Jericho? Good morning, and welcome to your daily Grapevine! Our editor-in-chief, Ro Moran, is currently on an important business trip (yes, business trip) to China. Unfortunately, rumors don't stop churning even when you're abroad, so I'm taking over our rumor rundown this week! We say: This definitely sounds intriguing, and we'd love to see Jericho wrestling again soon. 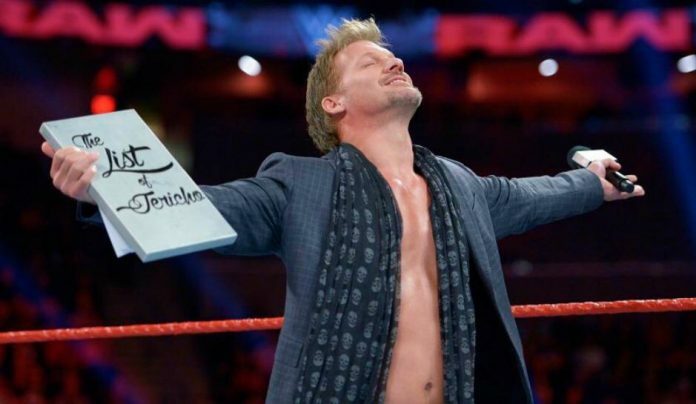 With Impact being on an upward trajectory, having a name like Jericho would help them get more viewers to a show that has been putting on some solid wrestling in the past couple of months. Jericho doesn't even have to be involved in the Impact World Championship scene—a feud with, say, Eli Drake sounds like money. Let's see this happen, but in the meantime, can we do something about the IWGP Intercontinental Championship? We say: This seems in line with the WWE's stance of poaching top-tier talent despite having an oversaturated roster, at least. As for Strickland, it's hard to see him having sustained success considering all the names in the WWE right now, but he's a good wrestler who deserves his chance at the big leagues. We say: This is great news, and is a good sign that the demand for non-WWE promotions is out there. It'll be a big achievement for ROH to sell out a venue like Madison Square Garden, particularly on a weekend where the WWE usually goes all out with WrestleMania and related events. Let us know what you think of today's rumors in the comments!